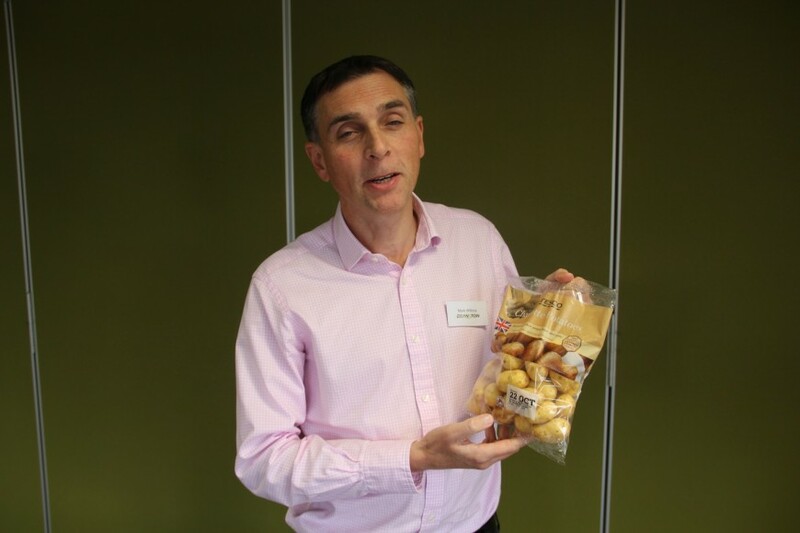 Tesco’s main potato supplier Branston, which has used the PerfoTec technology in its bags of salad potatoes for nearly a year, plans to use the tailored packaging for King Edward potatoes and four-packs of jacket potatoes by the end of 2016. The latter variety produces one of the highest levels of in-store potato wastage. Since the respiration rate of fruit and vegetables varies by variety and through the season, PerfoTec supplies businesses with equipment to measure each product’s respiration rate and calculate the required film permeability. Lasers are then used to perforate the packaging. Microholes in the bags control the amount of oxygen that enters, causing oxygen levels to drop and carbon dioxide levels to rise, thus slowing the potatoes breathing.